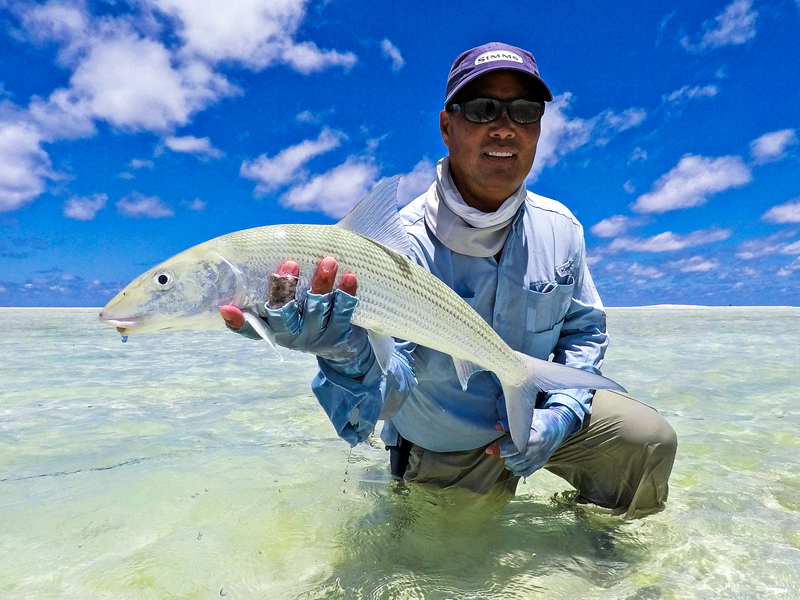 St. Francois lagoon is home to one of the largest and healthiest populations of Bonefish in the Indian Ocean. 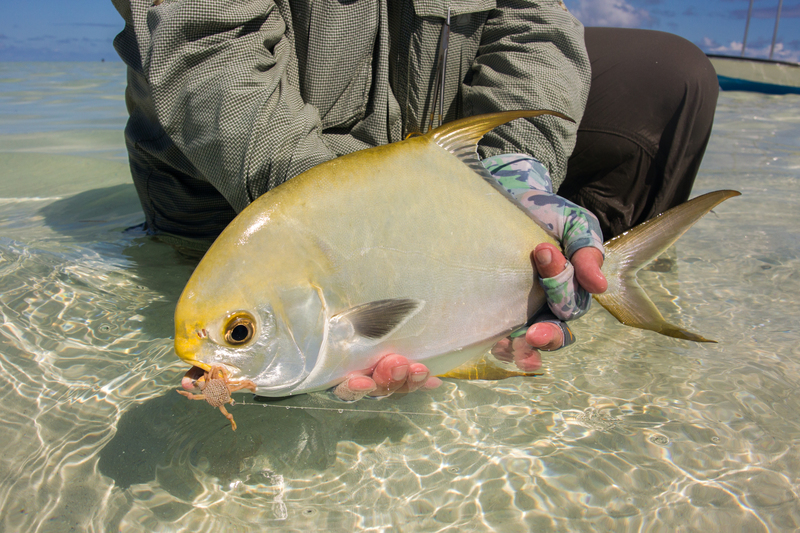 These fish are our bread and butter and provide a great deal of action with their veracious appetites and blistering runs when other species prove tricky to catch. In spite of their large numbers, the movement of large schools of fish can sometimes be tricky to pin down to a science. This week however was one of the best weeks of the season in terms of Bonefishing with nearly 700 fish successfully landed and released between 12 anglers. 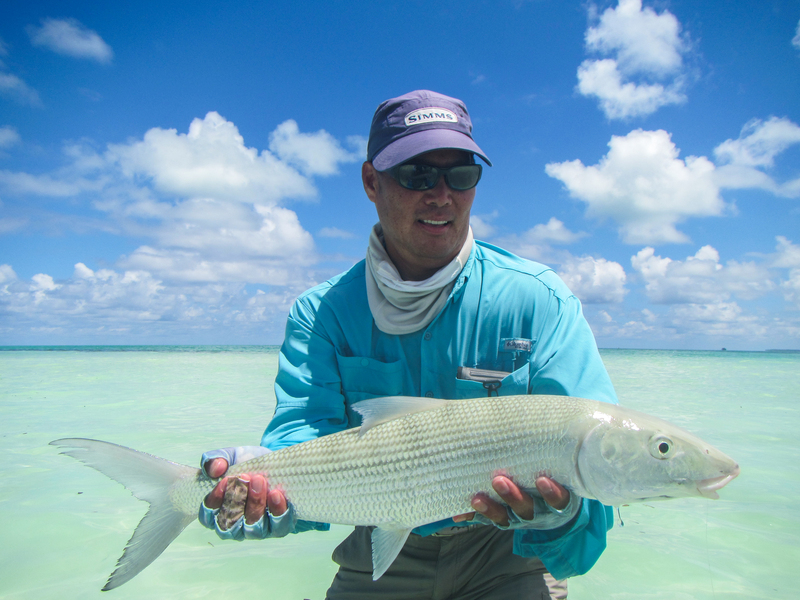 Nine anglers out of the full complement managed to join the prestigious Bonefish Club. 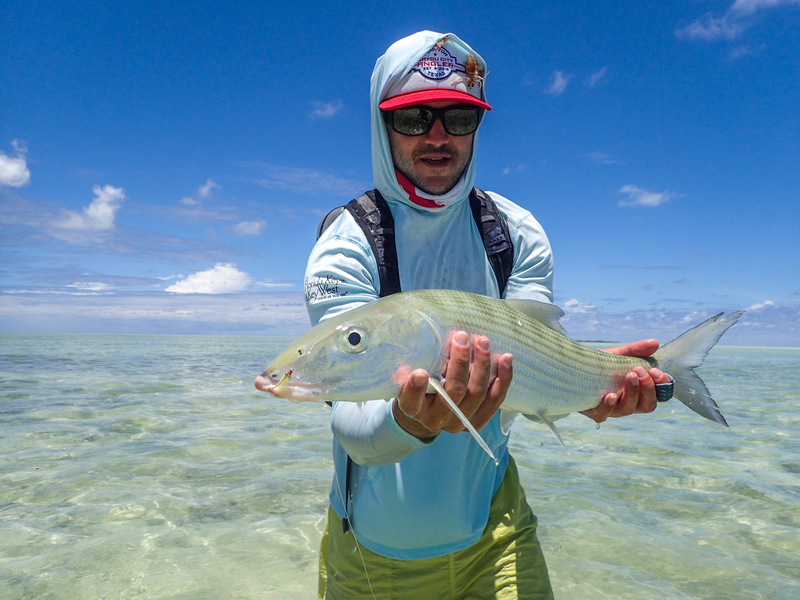 This is no easy feat as it entails landing 20 or more Bonefish in one day which requires a great deal of patience and skill. 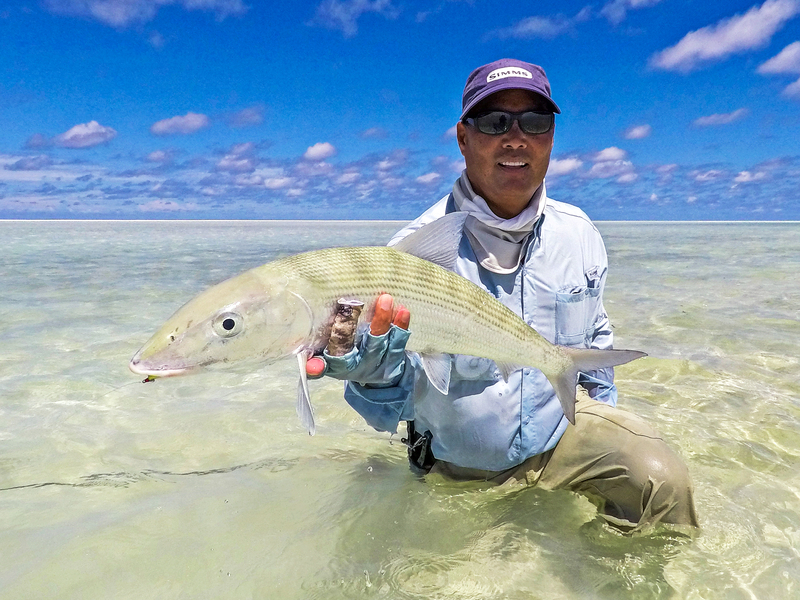 Some amazing sessions materialized on the white sand flats where scores of Bonefish would flood the area leaving guides and anglers alike in a state of sheer awe. A tip of the hat must go to boat partners Joe S and Allen T who in a single two-hour session managed to land over 80 Bonefish between them. First time saltwater angler Randy F came out all guns blazing and left everyone in the dust with over 100 Bonefish landed over the course of the week. 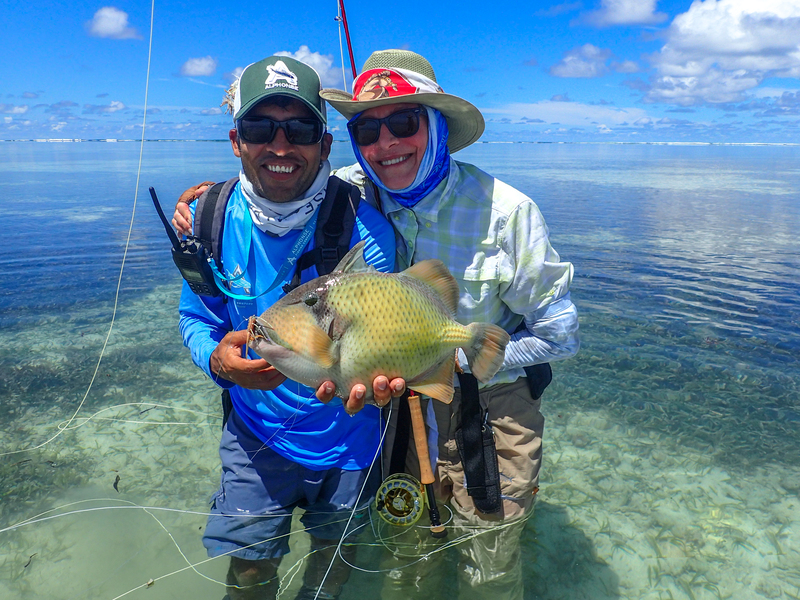 Randy also went on to search for more challenging fish ending up with a nice Yellowmargin Triggerfish and the only GT of the week measuring a whopping 100 cm. 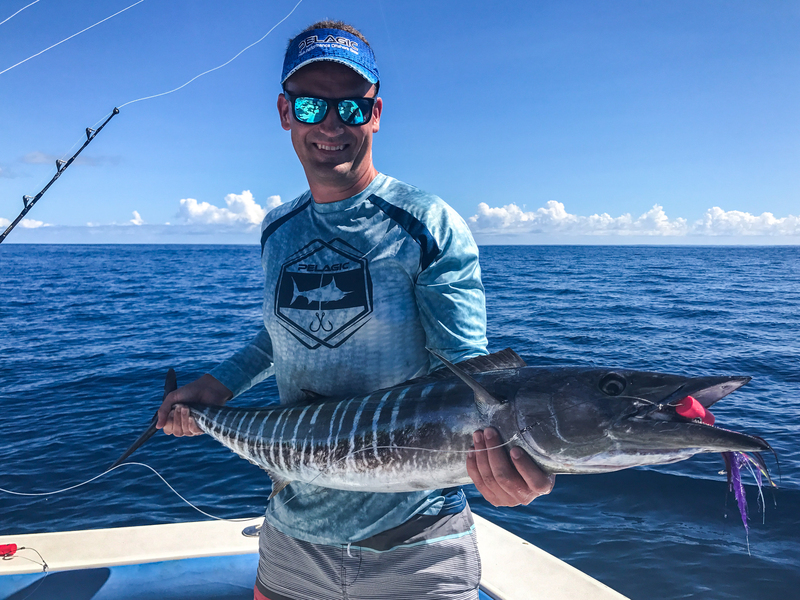 His boat partner John T-S also had a cracking week landing both a Moustache and a Yellowmargin Triggerfish as well as the only Milkfish of the week. 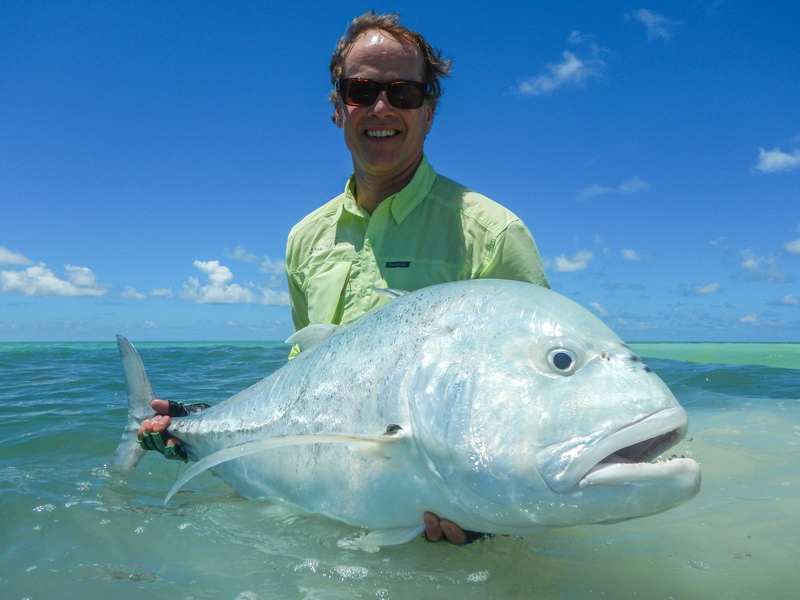 John topped his week off by landing the holy grail of fly fishing, the Indo-Pacific Permit. The Permit were around in good numbers this week with plenty of good opportunities and a few hook pulls to show for it. Joe S took advantage of the good Permit fishing when he landed a beautiful fish right at the close of day three. 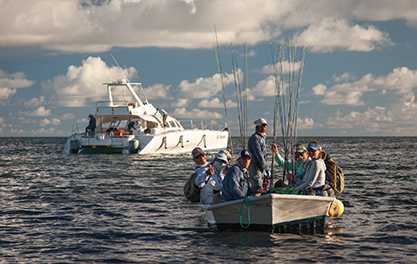 The neap tides provided good trigger fishing along the fingers as well as the surf line. 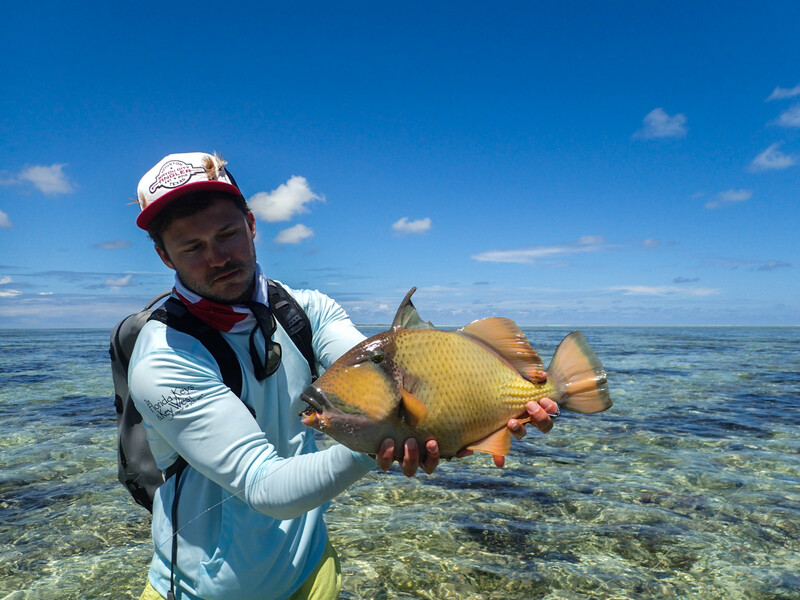 Agatha B, Matthew B and Andrew S all capitalized on this landing three Moustache Triggerfish. 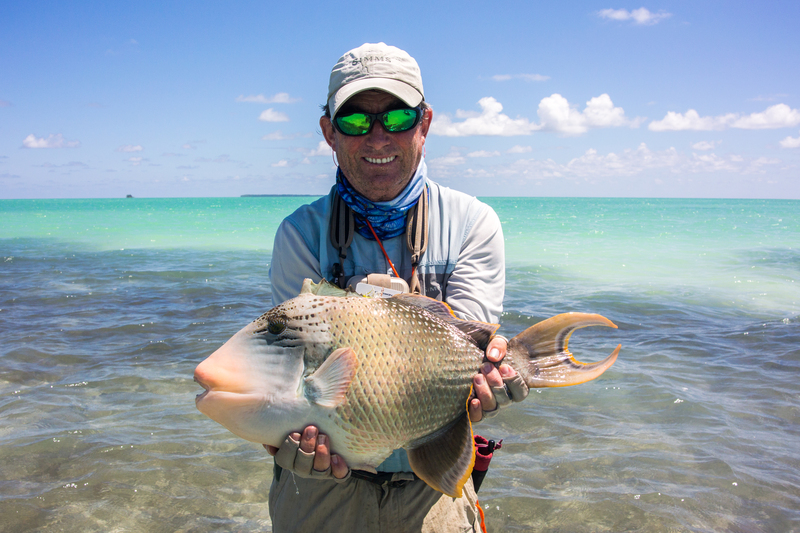 Paul D who has spent two weeks with us was still waiting for his opportunity to land a tricky Triggerfish in spite of a few near misses. His moment came right at the close of the week when Paul landed a beast of a Yellowmargin after a tense fight. On the bluewater side the fishing has been fantastic. 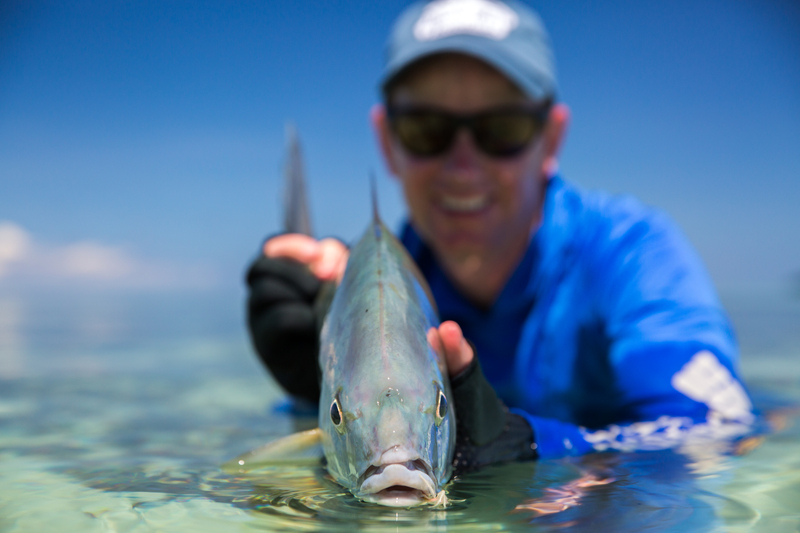 The tides have provided the outside of the atoll with crystal clean water which has been holding plenty of fish. 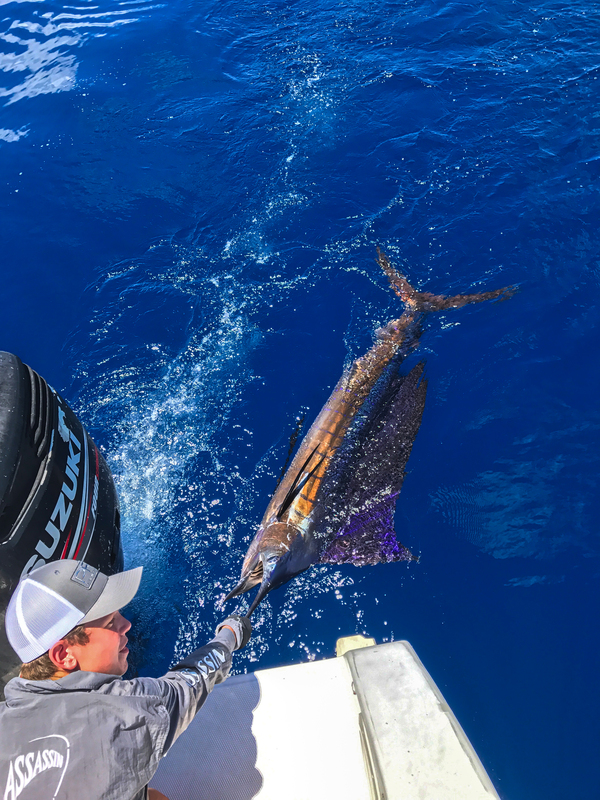 The Bergsma Family had two very good sessions landing six Sailfish on fly as well as a Wahoo. 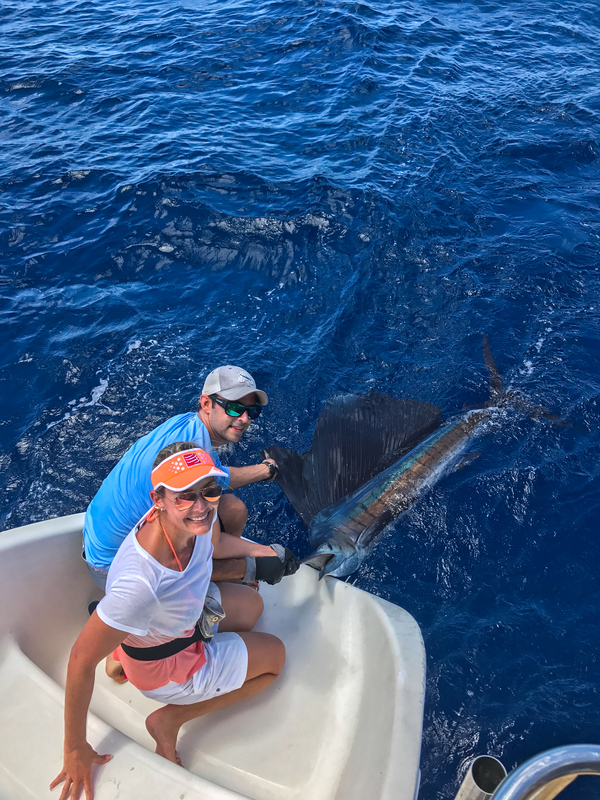 Chantal C arrived on her way back from Astove Atoll and managed to catch two GT’s on Alphonse and the following day two Sailfish in a half-day trip. Tight lines from Alphonse Fishing Co. at Alphonse.